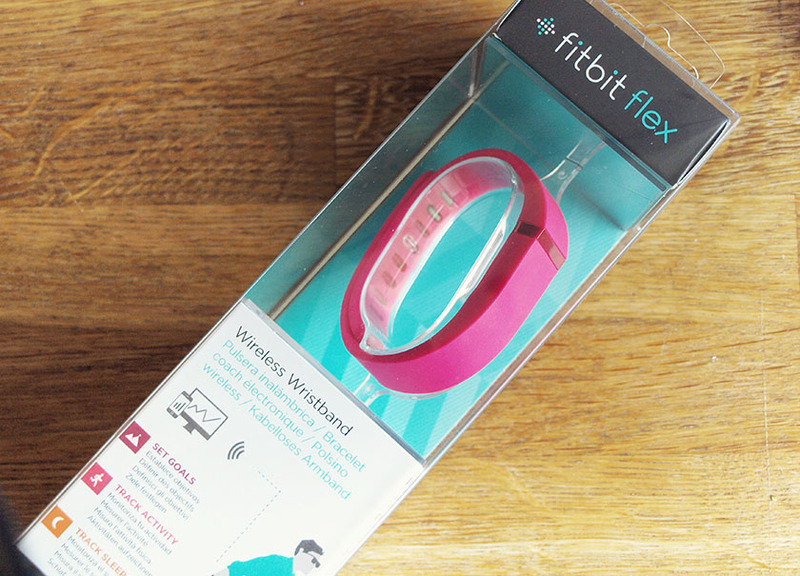 The Black Pearl Blog - UK beauty, fashion and lifestyle blog: Fitbit Flex Review. Is it worth the price tag? 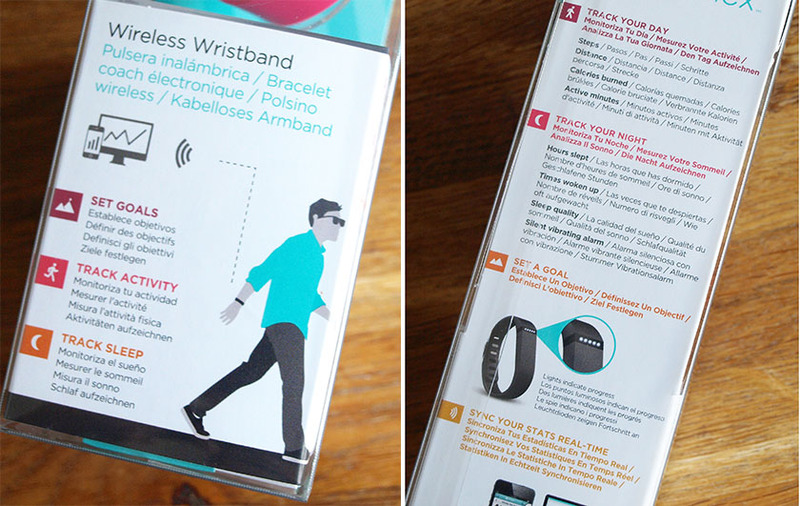 Fitbit Flex Review. Is it worth the price tag? I am obsessed with my Polar FT4 Fitness Watch and it was the best investment ever, so I was very excited to try the Fitbit Flex* when I received it as a gift recently. It is a little device designed to track steps, distance, and calories burned and help you achieve your daily goals. Sounds good right? I got the pink version, which retails at £79.99 at the moment, but... is it worth the price tag? First of all, the design is really nice and the silicone band feels very comfortable on the wrist. You get two sizes of the band in the box. The small one will fit most ladies and the big one is made for bigger wrists. I feel more comfortable in the bigger size. They are both adjustable though, so you will definitely get the right fit. It closes with a secure clip and does not come off, until you remove it yourself. It is waterproof and can be used while swimming and in the shower. I was happy with the pink color at the beginning, but if you want to wear the device at all times, you should probably go for a more neutral color. Fitbit Flex is also available in black, slate, navy blue and orange. The pink is really bright and I felt a bit silly wearing it with a nice outfit. It looks like a simple silicone bracelet, but it doesn't go with everything :) I think I will buy a black replacement band, if I decide to continue using my Fitbit Flex. You can get them on ebay for £9.99. The actual Fitbit Flex device is a tiny black Bluetooth transmitter (see photo below) which you simply charge with the usb charger provided. I charge it when I am working on my laptop - this way I don't miss out on tracking any steps :) Once all five lights are flashing, the device is fully charged and it will have enough power to last for 5 days. I usually give it a quick, 15 minute charge and it lasts for 3 days. The device records steps taken, distance travelled, calories burned , active minutes, hours slept and the quality of sleep. 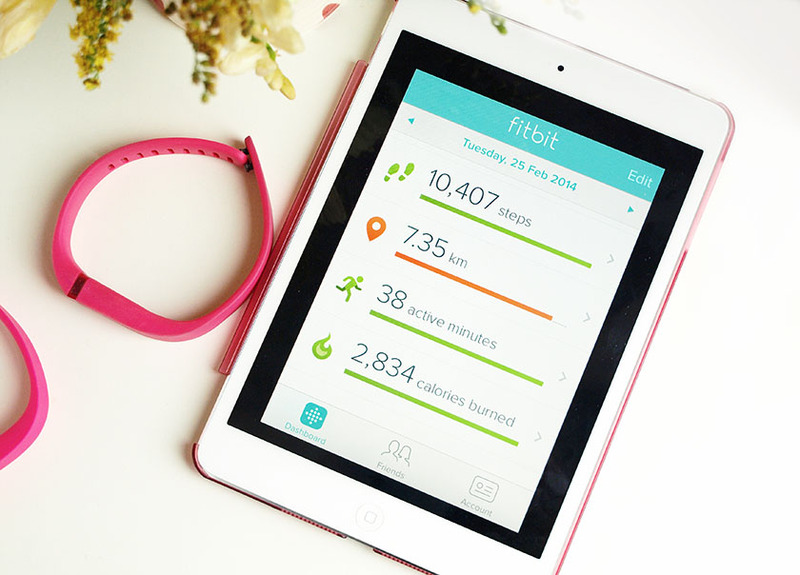 You can check all of the data through the Fitbit App on your mobile, tablet or on your PC. You can also set your goals and track your progress during the day. The lights on your Fitbit Flex will flash letting you know how you're doing and you simply tap it twice to see the lights. I set my goal to 10 000 steps a day, so each of the five lights on my device will represent 2000 steps. I also like the fact that I can see how many calories I am burning that day (remember, that the number shown includes your basic metabolic rate, which is the number of calories your body needs to function). The sleep tracker is a great feature too and I like seeing how much quality sleep I got each night. Depending on your sleeping position, the wrist band might annoy you and it can also leave a big imprint on your face. I tend to sleep with my left arm under my cheek, so I simply put the Fitbit Flex on my right wrist at night time to avoid getting an imprint :) from my experience, the sleep tracker is very accurate and records all my movements. TIP: Tap the top of device 5 times, when you want it to go to the 'sleep mode' It works every time :) I know that many people had a problem with this feature. Oh, I forgot to mention - if you are right handed, you have to wear it on your left wrist and the opposite, if you are a lefty. This way the tracking will be more accurate. I tried wearing the band on my right wrist to see if it is true and I earned about 3000 'steps' more that day! Crazy! The moral of the story - always wear the device on the correct wrist, if you want the steps to be accurate. If you are really bored or want to track you meals and water intake, you can add all these to your diary in the app, but I don't have time for this kind of stuff. -the most annoying bit for me was the fact that the device didn't record my active minutes on the bike. I use my stationary bike a lot, as my regular form of exercise and since my hands are stuck in one position, the device isn't recording any movement. VERY ANNOYING! -don't expect it to accurately track other exercise either - it doesn't take your heart rate into consideration, so you can't trust it. I didn't expect it to be accurate, but I am just letting you know, in case you want to use it as a fitness watch. It is not a fitness watch. -if you move your hand up and down, even when you are sitting down and doing nothing with your feet, you will be earning steps. For people who gesticulate a lot, it could be a real pain. -it would also be good to see the time on the band. this way I could at least use it as a watch when I am out. 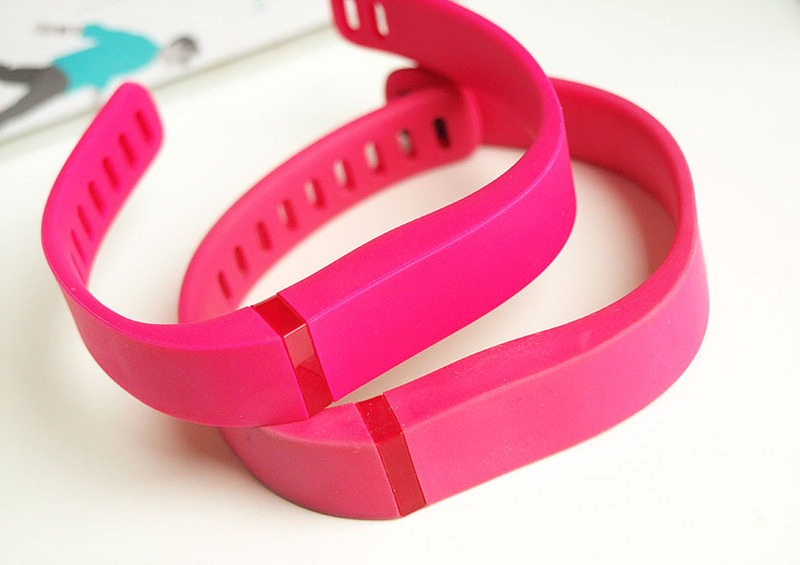 -the pink band gets dirty easily and it is now permanently stained from my black clothing. You can see the difference on the first photo. The top band is brand new and the bottom one has been used for 2 weeks. It looks even more dirty, after 3 weeks of use and I can imagine, that it will only get worse. Another reason why I would recommend a more neutral colour. I am not sure, if I covered everything in this review, but I tried my best :) Overall, I have mixed feelings about the Fitbit Flex. I like the concept and it made me realise that I should be walking more, but... it is overpriced and a £2 pedometer would do the same job, unless you want to track your sleep etc. I am glad I received it as a gift, but I wouldn't pay nearly £100 for it. It is nice to be able to track my progress on my iPad and it is a little bit addictive, but it is not worth the money. Do you own this little gadget? Would you pay this kind of money for a step/sleep tracker? As always, my opinion is 100% honest.